15-year-old Iranian banned from domestic chess tournaments after playing against an Israeli opponent. 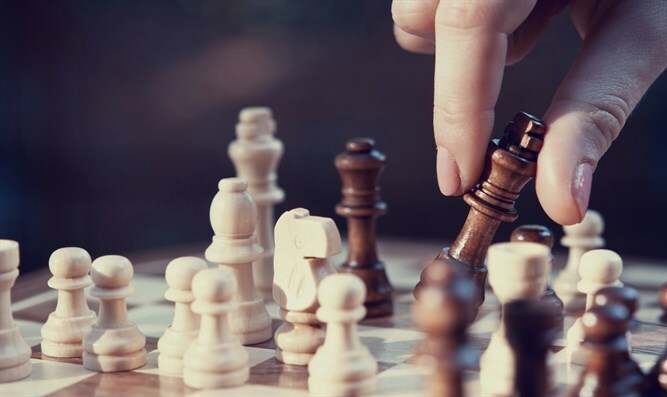 Iranian chess officials on Monday banned a 15-year-old from domestic chess tournaments and the national team after he played against an Israeli opponent at an international chess event. The teen, Borna Derakhshani, competed against the Israeli at the Tradewise Gibraltar Chess Festival 2017, which ran from January 23 to February 2, according to RadioFreeEurope. Iran does not recognize the state of Israel and forbids Iranian athletes from competing against Israeli athletes at international sports events. Iranians in the past have claimed injury or illness to avoid facing Israeli rivals. Other Muslim countries similarly boycott Israel at sporting events. Last year, a boxer from Syria bowed out of a qualifying round for the Olympics because he would have had to face off against an Israeli contender. In 2014, the president of the Sudanese Chess Association resigned following a game of chess that took place against an Israeli player at the World Youth Chess Championships in South Africa. Meanwhile, according to RadioFreeEurope, Derakhshani’s older sister, 18-year-old Dorsa Derakhshani, was also banned from future competitions for appearing at the chess festival without the Islamic head scarf that became compulsory in Iran after the 1979 Islamic Revolution. The measures against the Derakhshanis were announced by the head of the Iranian Chess Federation, Mehrdad Pahlevanzadeh. "As a first step, these two will be denied entry to all tournaments taking place in Iran, and, in the name of Iran, they will no longer be allowed the opportunity to be present on the national team," Pahlevanzadeh was quoted as having told the semiofficial Fars news agency. Pahlevanzadeh said the pair had attended the Gibraltar event independently rather than representing Iran but nevertheless claimed they had hurt Iranian national interests. "Unfortunately, what shouldn't have happened has happened. Our national interests have priority over everything," Pahlevanzadeh said, adding that there would be no "leniency" for those who trample on Iran's "ideals and principles."